We have a range of customised solution for small to medium size offices where hot and cold water dispensers are required. We integrate it with inbuilt RO system so that seamless solution to pure water from the dispenser is available to the customer. Please call us to know best solution that fits your needs. 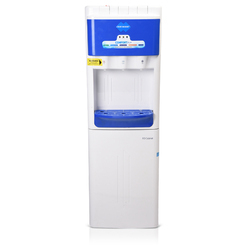 A wide range of cold drink dispensers is manufactured & supplied by our organization which is used to dispense several cold drinks as required. With portable size, reliable performance and optimum efficiency these dispensers meet the varied requirements of the clients of offices, kitty parties and birthday parties. We offer these dispensers at most affordable price. 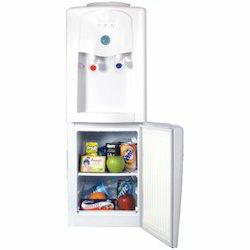 From our wide consignment, we are affianced in supplying Lloyd Cold Water Dispenser. We are providing hot & cold water dispensers to our esteemed customers. Stringently tested and developed with excellent technology, these products excel on various accounts like quality, durability, effective maintenance, proper performance and weather resistance. These are developed in hygienic conditions.